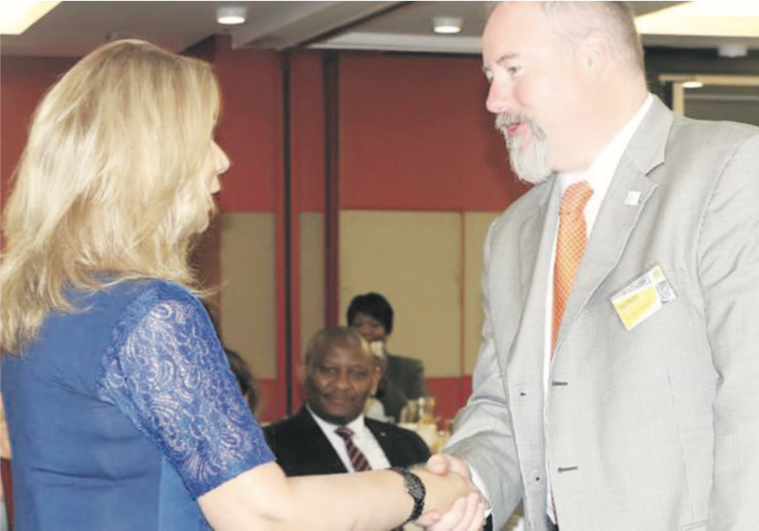 Ethekwini Municipality held a breakfast seminar with various delegates coming from the United States, Tunisia and stakeholders from the various policing departments within the city. The seminar was held at the Durban ICC on Thursday morning, to discuss strategies to enhance safer cities for officers and the community at large. EThekwini Deputy Mayor, Fawzia Peer welcomed the guests and outlined the objectives of the seminar. The objectives of the seminar was to improve the rule of law as the key pillar of safety for all and identify and agree on strategic safety security actions for the eThekwini Municipality and partners. It was targeted at political leadership, administrative leadership, the SAPS, Metro Police, community safety structures, organised civil society, academia and the organised business community. Peer emphasised what they as the city leadership have envisioned that this seminar will aid in enlightening the local leaders of the strategies in place to advance policing in the city as a whole. Peer welcomed all the guests in hope that they have a fruitful meeting ahead. The acting deputy city manager of community and emergency cluster in eThekwini, Noluthando Magewu said, ” The problem the city has is that there has been an increase in levels of crime, criminals are one step ahead. The safety and security agencies need to develop relevant capabilities to be ahead in their proactive planning and execution. Going forward, the city will identify an area within which to conduct a pilot project, document learnings and then propose the implementation of the project throughout the region.